Mother’s Day – a day to celebrate the efforts of mothers and mother figures in our lives. Affirming one’s love and appreciation is the best way to the deepest part of her heart, and this can be shown in many ways. One special way to create and savour those deliciously tender moments is to share stories. A kiss, a cuddle, sharing of fond memories, or making new ones, can all develop from the source of a beautiful book, or a few. Start here with these gorgeous picture books specially for mums and grandmas. 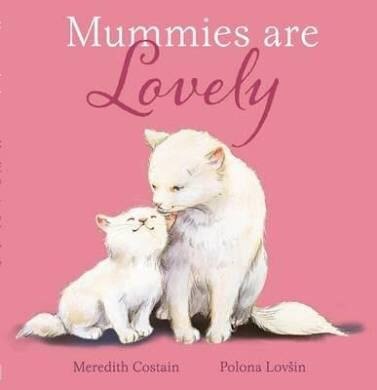 Mummies are Lovely, Meredith Costain (author), Polona Lovsin (illus. 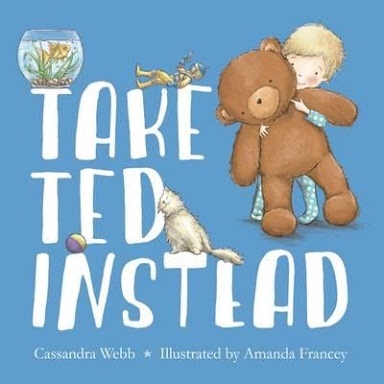 ), Scholastic Koala Books, 2016. Combining once again is the superb duo that brought us Daddies are Awesome/Great! is Meredith Costain and Polona Lovsin with Mummies are Lovely. Beautifully lyrical yet simple canter leads the path to your heart as this delightful read shows cat mothers in a string of sentimental moments. Furry feline mums and kittens grace each page spread with their adorably realistic and energetic prominence. Readers, being both young children and adults, will appreciate all the amazingly loving attributes that mothers so willingly pour over their young. Soothing their troubles, cheering their mood, fearlessly and fiercely protecting them. And there’s no better way to end a busy, active day than to settle down with a tender, squeezy hug and the affirmations of this unconditional love. Mummies are Lovely, with its all-round playful sweetness that is sure to generate all kinds of warm and fuzzies, is a purr-fectly soothing way to embrace your mother-child relationship this Mother’s Day. 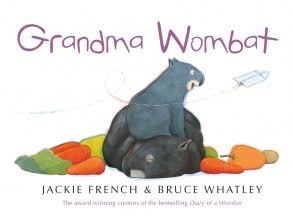 Grandma Wombat, Jackie French (author), Bruce Whatley (illus. ), Angus&Robertson, 2016. Mums aren’t the only significant female figures in a child’s life. Those fortunate enough to spend time with their grandmas will certainly reap the benefits of their care. And of course, to Grandma, their little angel can never do wrong. That is certainly the case in this adorable sequel to the ‘Wombat’ series by the unequivocal talents of Jackie French and Bruce Whatley. A witty story of untold truths relating to cheeky child behaviour and grandparent bias, Grandma Wombat is simply delicious. Prim and proper (as far as wombats go) is the matriarch, Grandma Wombat. Her babysitting duties are divinely simple and pleasurable (besides the rude disturbances by bounding kangaroos). Just the like the crisp language, her daily schedule is uncomplicated and (usually) straightforward. Whilst Grandma naps, she is blissfully unaware of the happenings behind the scenes. Let’s just say, between heedless bounding kangaroos and high flying stunts, baby grandson bids more of a wild adventure than Grandma Wombat would even care to dream of! With its suitably boisterous and whimsical illustrations, Grandma Wombat certainly packs a punch in the humour department but also treasures the endearing qualities of a special bond and a grandparent’s love. Delightful to share with preschool-aged children at any time of the day. 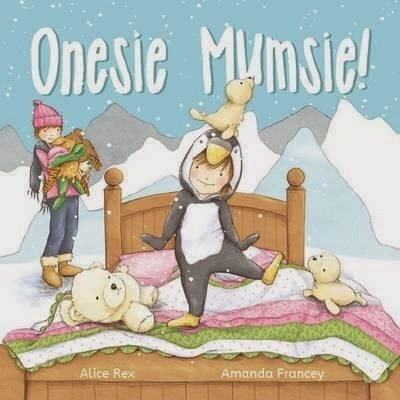 Onesie Mumsie!, Alice Rex (author), Amanda Francey (illus. ), New Frontier Publishing, 2015. The joys of the bedtime routine are gorgeously represented in this frisky tale, suitably fashioning the precious relationship between a little girl and her mumsie. Mum plays along with all the ‘onesie’ characters that her daughter becomes as she, not so inadvertingly, delays the inevitable. The ever-so-patient parent sneaks opportunities of affection between the drama and the outfits; a nibble on the crocodile, a tickle of the tiger, swinging of the penguin, and a squeezy cuddle with the bear. And when it’s finally time to tuck in for the night, who is waiting with a ‘tall’ surprise?! Rex’s narrative flows smoothly and repetitively for a pleasurable read for little ones to follow and try to predict what animal comes next. Amanda Francey’s exuberant illustrations spill imagination and spirit, with the added lightly-shaded softness for those tender moments. Onesie Mumsie is a charming book to wear out your little ones at the end of your fun-filled Mother’s Day. 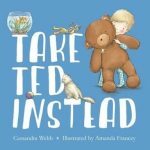 It is also the perfect companion to Francey’s latest book, Take Ted Instead (text by Cassandra Webb), reviewed amongst others by Dimity here. Happy Mother’s (and Grandmother’s) Day to all the cheery, thoughtful, playful, and biased mums and grandmas!